Dr. Petrosiute is a St. Baldrick’s Scholar. She explains medulloblastoma symptoms, treatment, and how research is helping kids with this type of brain tumor. Medulloblastoma is the most common malignant brain tumor in children. It originates in the back part of the brain called the cerebellum. In up to 1/3 of cases, it can spread to other parts of the brain and spinal cord. Most cases are diagnosed before age 10. 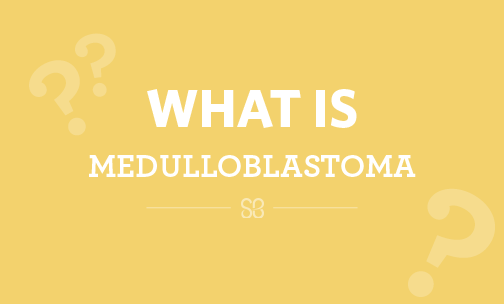 What are the signs and symptoms of medulloblastoma? The cerebellum is also important for balance and coordination, so some patients have trouble walking or become clumsier. Medulloblastoma cells. Photo via Wikimedia Commons. The tumor is initially diagnosed with a CT scan or MRI of the brain. Doctors will then obtain a sample of the tumor through a biopsy procedure or surgery to remove the tumor. A pathologist will look at the tumor sample under the microscope to determine if it’s medulloblastoma or another type of childhood cancer, or if it’s benign (non-cancerous). What treatment options are available for children with medulloblastoma? The first step in designing a treatment plan for a child with medulloblastoma is determining whether the tumor is in one place or if it has metastasized, or spread. If the tumor is in one place, the best results for cure begin by removing most or all of it by surgery, followed by chemotherapy and radiation treatments to the brain and spinal cord. For patients younger than 3, the long-term side effects of radiation are severe, so doctors usually try to avoid it and instead use stronger chemotherapy. If there is evidence of the tumor in more than one place, surgery is still helpful, as are radiation and chemotherapy, but metastatic disease is much harder to treat and generally has a poor prognosis. How is research helping children with medulloblastoma? 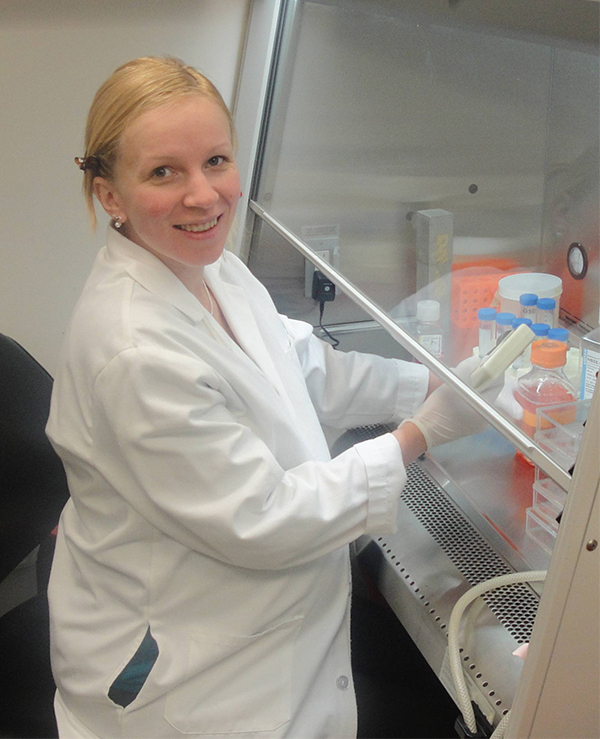 Dr. Petrosiute at work in the lab. 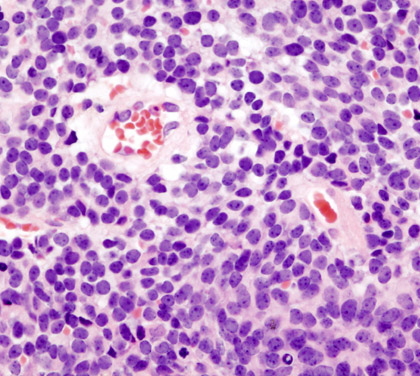 Scientists have learned a great deal about medulloblastoma over the past decade. It was once thought to be the same disease, no matter the patient or what the cells looked like under the microscope. Now we know there are specific types of medulloblastoma that can be diagnosed by looking at the mutations or other genetic changes that are found inside the cancer cells. Right now, this does not affect treatment for many children. But we are hoping that this information and future research will lead to better treatments with fewer side effects, and better chances of curing children with medulloblastoma. Since cancer cells are notorious for evading the immune system, researchers are attempting to find ways to disrupt this process so the immune system is able to fight the cancer. This field of research is called immunotherapy. A greater understanding of how medulloblastoma overcomes the immune system could provide new insights that may ultimately lead to the development of new therapies for medulloblastoma. Has your child been touched by childhood cancer or do you know a child that has been diagnosed? St. Baldrick’s Honored Kids, who have been affected by cancer, inspire fundraising participants to be part of the Foundation’s mission — to fund lifesaving research.